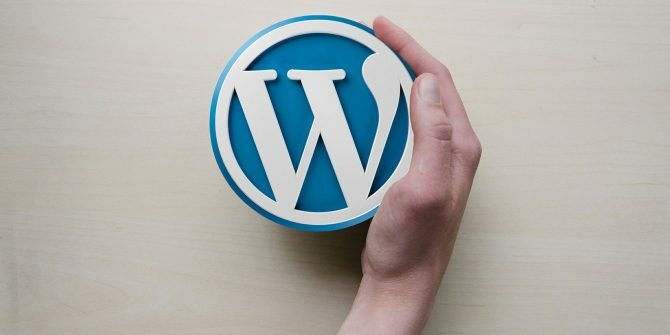 Now a day, WordPress is more demanding product, though you might not think so when you first install it. That’s because WordPress’ power comes from the huge number of ways we can modify it, expand it and transform it through the apps out there. The standard galleries offered by WordPress really aren’t all that special. They’re just basic tiles, laid out in a grid-like pattern. If you want galleries that are a bit more artistic, then you should choose Gallery by Envira. They’re far more attractive and give you a lot more options as to how you want to put up content, with lots of different templates an easy to use and understand structure whereby you can simply drag and drop the parts you want in the position. DragDropr lets you create, edit and website design Melbourne the content for your website, webshop, or any other web content by simply dragging and dropping. It does not matter which CMS you use – DragDropr fits them all. All the changes you make will be stored as genuine HTML code. This helps with to improve your SEO and allows you to change your theme or template instantly. You can work on your content without any problems or visual bugs. We all know that we can’t put too much information on a page for fear of slowing down loading time or overwhelming our users and having them run screaming from our page. A good workaround is to use a slider. These will let you showcase more content to your users, by giving them a slow but steady drip-feed of images, stories or other content. The best slider we’ve found is called Slideshow Gallery. It’s visually appealing, easy to set up and easy to use for your visitors. You’ve probably heard of a lot of other plugins. We’ll get to a few other ones further down. None of them, however, quite measures up to Jetpack. Why? Because though there are certainly apps and plugins that do everything that Jetpack does – possibly better in some cases – no package does it all at the same time. Jetpack offers site security, website performance, traffic growth, image optimization, website appearance. Even better, because it’s done by the same team that created WordPress itself, you can be pretty much sure that whatever update comes along, Jetpack will continue to function. As an extra bonus, it’s freemium so most of the software on offer comes to you without a price tag. Another one of the big ones, Yoast is an incredibly important program if you want to make sure you rank well on Google, as this piece of software helps you optimize your individual pages so that Google understand what they’re about and can easily index them for your searches. The program givers you a checklist of things to look out for that will help mage sure that your page is ready for the big world of search. If it is in order, then you’ll get a little green ball. If it could be better, it gets an orange marker and if it needs attention, then it’s red. This will make it far more likely that the texts you worked so hard on will get the attention they deserve. This is a freemium product, meaning that most of the functionality you’ll need comes free and only if you need advanced functions will you have to pay. Do you need to collect information and data from the people who visit your site or use some aspect of it? Perhaps you want to give them the opportunity to review your product and give you testimonials, or maybe you want to see how they like certain aspects of your site. If you do, then you should definitely check out Everest forms. It’s easy to use and yet has all the functionality you will need, allowing you to create forms with general and very specific fields through dragging, clicking and configuring. In that way, you’ll have your forms ready in no time and you can spend your time building those aspects of your site that require more of your attention. This plugin is free, which is a nice extra bonus. Something that is an absolute must if you actually want to build up traffic is the option for people to easily share your content across the social media platforms. The truth is, there are a lot of different options out there, with them all doing different things better and worse. Still, Ultimate sharing does pull ahead of the pack. It lets you share a heck of a lot of different platforms (over 200), special animations so that they are more noticeable by your audiences and a whole host more. Because it’s such a useful app, it gets a 4.9-star rating on wordpress.org, which is an exceptionally high rating. Of course, you want a thousand and one images on your website! They’re pretty and they draw the user’s eye. The thing is, images require a lot of bandwidth, which can slow your website down if you’re not careful. For that reason, you need plugins which will resize your images so they take up as little space as possible. The best choice in this regard is WP Smush. It will make sure that your pictures retain their high quality while compressing them effectively, so they don’t eat up people’s bandwidth. So these web design best plugins for WordPress in your list, you’ll be well on your way to making a high-quality website. Of course, you’ll have to consider a few more, like something to verify who is commenting on your websites, as well as whether what they’re throwing up there is spam or actually useful, but with these seven you’re well prepared nonetheless. Hope you understand blog well. Stay tuned & Keep in touch with us.